For the reader who learns visually through motion graphics, audio, and personal interviews, these videos are organized loosely into three levels: introductory/basic, intermediate and in-depth/advanced. STEVE RYAN VIDEOS: We’ve edited Steve’s most interesting radio and TV interviews to create several short (3-5 min.) videos. 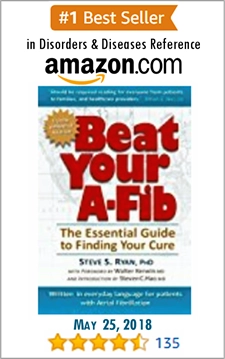 Check out Videos Featuring Steve S. Ryan, PhD, publisher of A-Fib.com. 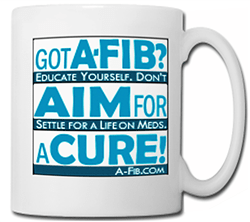 Introductory/Basic Level: For the newly diagnosed patient; Great for the family and friends of an A-Fib patient who want to better understand Atrial Fibrillation. Graphic display of actual heart in Atrial Fibrillation. How it could look to your doctor on an EKG/ECG monitor; (Your EKG may look different, but will be fast and erratic). Includes display of the changing heartbeat rate in the lower left. 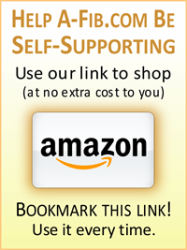 Two videos: Magnesium Deficiency and Calcium Overload with Dr. Carolyn Dean, author of The Magnesium Miracle. A light-hearted, more “entertaining” approach (perhaps for younger family members) featuring two animated characters, Dr. Brain and the Heart. Through interviews and animations explains how atrial fibrillation can cause stroke and why anticoagulation is so important. 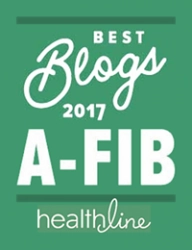 Discussion of warfarin (brand name Coumadin), the required (weekly or monthly) monitoring, interactions with food, alcohol and other drugs and the newer anticoagulants (NOACs). 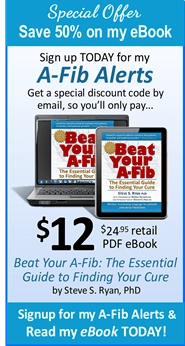 Intermediate Level: For the more informed reader who wants to go beyond the basics of atrial fibrillation. Dr. Gregory Marcus at the UCSF Medical Center compares a 1-lead ECG from the Apple Watch Series 4 to the results of a traditional hospital 12-lead electrocardiogram (ECG/EKG) monitor. Hooked up to a traditional electrocardiogram monitor, C/NET Senior Editor Vanessa Hand Orellana uses an Apple Watch 4 app to take a 30 second ECG reading. Dr Marcus compares readings from the two devices, with pros and cons of each. Learn how the Apple Watch 4 captures the heart beat. Dr. Bruce Janiak, a 74 year old full-time emergency medicine physician, allows a video of his cardioversion from atrial fibrillation in order to demonstrate both the ease and safety of this procedure. Dr. Wells on what to expect post ablation. 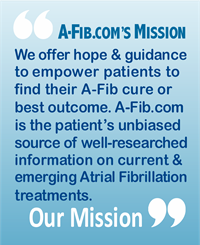 What Should I Expect After the Atrial Fibrillation Ablation Procedure? Presented enitrely through 3D mapping and ECG images, a live demo of ablation for long-standing, persistent A-Fib is followed from start to finish. Titles identify each step (no narration). Disclaimer: Videos provided for your convenience only; We make no endorsement of a specific physician or medical facility.